Watching, watching…. crowds were solid and bidders plentiful at the auctions we attended on the weekend. There were plenty of bidders at the auctions we attended on the weekend. It seems that as the weeks go by buyer interest levels increase, yet their price points are discerning. 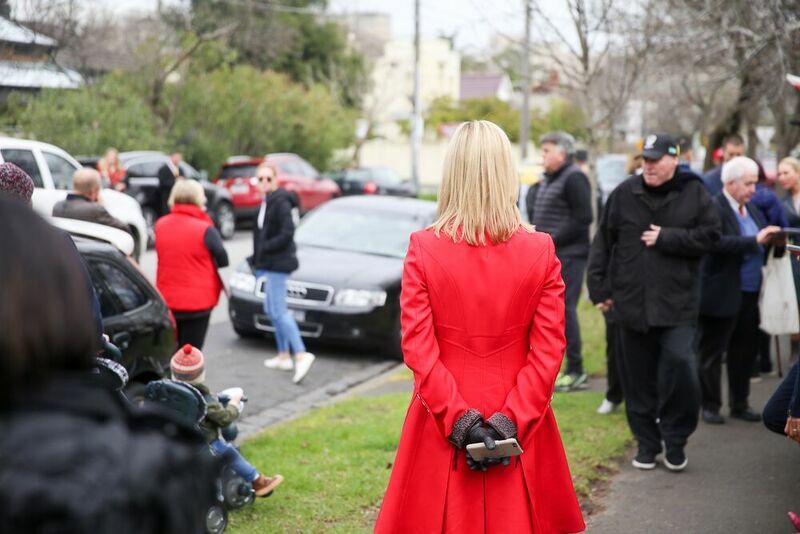 Clearance rates were again solid with the REIV reporting 77%, although still on low numbers – there were only 562 auctions across Melbourne compared to 945 for the same weekend last year. Of note, we also saw more pass-ins, suggesting that vendor expectations are continuing to increase. 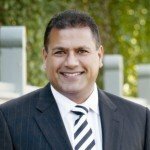 While spring is not far away, there doesn’t seem to be a huge influx of properties coming, and there may not even be a ‘late charge’ in 2016. Of course, we will have to wait and see. 1 Edward Street, Sandringham (Kate Smith/Warren Smith, Hocking Stuart) – with four bidders, passed in at $2.5million. The property last sold in 2001 for $1.58million (after passing in at $1.55million). It has had a good cosmetic upgrade since then. Renovated two bedroom single-fronted Victorian with good block width in popular location. No car-park. Bought for a strong price of $1.93m – 4 bidders and $210,000 over reserve. 1a Mair Street, Brighton (Lisa Comben/David Hart, Buxton), 583/sqm – $2.6million – home liveable, but all about the land overlooking football ground and bay. $4,459/sqm – this last sold in 2002 for just over $1m. 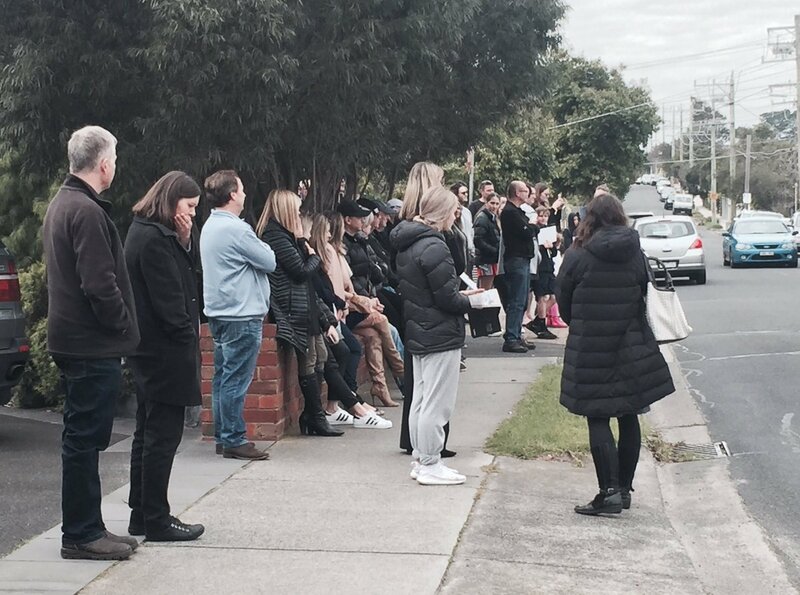 9 Victoria Avenue Canterbury (Rebecca Edwards/Scott Patterson, Kay & Burton) bought for $4.11million – 4 bidders and $610,000 over reserve. Although a liveable home, this was bought for land and given its size of 847/sqm, that works out to be $4,855/sqm. A very solid result. In a lesser location, at 2 The Ridge (similar land size) sold 18 months ago for $1m less. 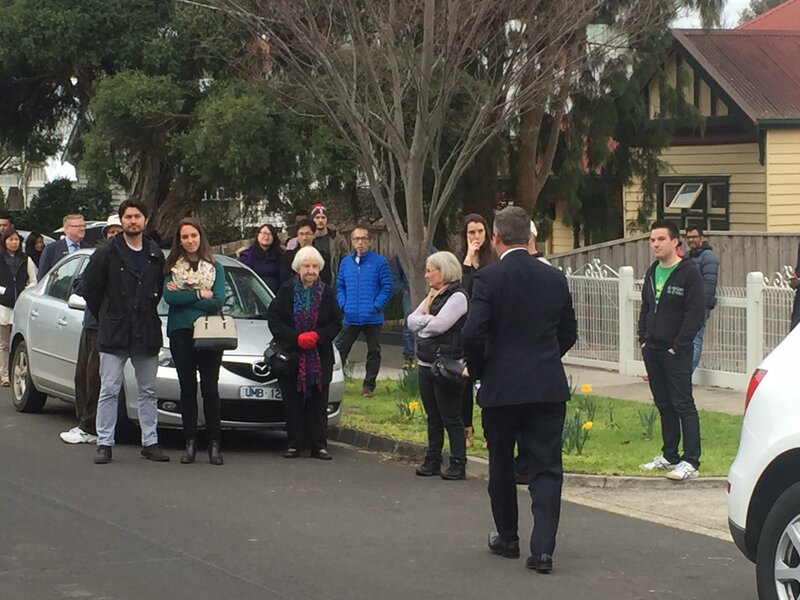 A slightly smaller crowd than the previous auction at Linacre Rd, but still good-sized and attentive as Halli Moore began proceedings. Calling for an opening bid, Halli was met with the all too common silence, so he placed a vendor bid of $1.9m instead. A second vendor bid of $1.95m was needed to prompt Bidder 1 into action, the home eventually passing in at $2.125m and selling a short time later for an undisclosed amount. Pretty double fronted Edwardian and auctioneer Hamish Tostevin gave a spirited preamble in front of a good crowd of around 150 people. Hamish opened on a vendor bid of $1.65m, but it didn’t take long for a professional bidder to up the ante at $1.7m. Enter Bidder 2 and the auction clips along nicely. At $1.88m the half-time break is taken, and when bidding kicks off again shortly after the property is announced on the market at $1.9m. Another bidder enters the fray yet bidder 1 wins the day at $1.91m. 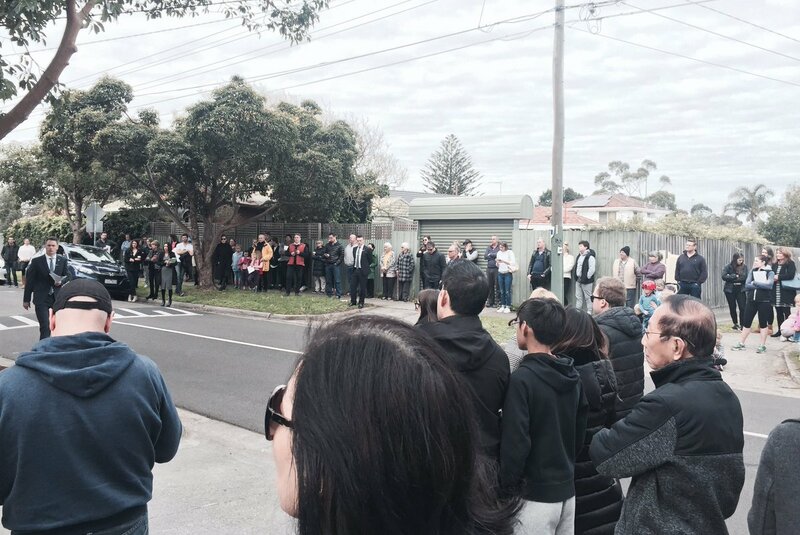 Interestingly as the crowd departs an auction board is hammered into the soft ground in front of house next door – it will interesting to see what transpires there in the coming weeks.